French President speaks with local Jews, says "the situation is never military" to deal with the Iranian nuclear threat. French President Nicolas Sarkozy warned on Wednesday that military action was no way to deal with nuclear-minded Iran, The Associated Press reported. 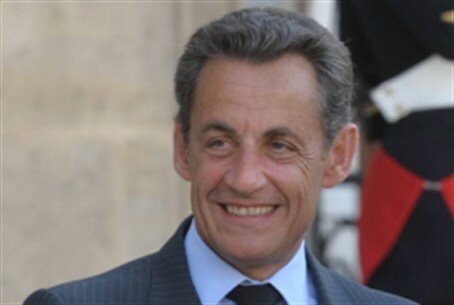 “The solution is political, the solution is diplomatic, the solution is in sanctions,” Sarkozy was quoted as having said. “We want the leaders of this country to understand that they have crossed a red line, and to reassure Israeli leaders so that the irreparable is not carried out,” he added. Sarkozy’s remarks echo his recent warning that any foreign military intervention against Iran’s nuclear program would trigger “war and chaos” across the Middle East and beyond. He also said then that harsher sanctions must be placed on the Islamic Republic. “Time is limited. France will do everything to avoid military intervention, but there is only one way to avoid it: a much tougher, more decisive, sanctions regime,” Sarkozy said, and called on all countries to freeze Iranian central bank assets and halt imports of Iranian oil. The media has been rampant with speculations in recent months that Israel is planning to launch a pre-emptive strike on Iran’s nuclear facilities. Last week, a report on NBC revealed what an Israeli attack on Iran may look like. The report, which was based on conversations the American network held with current and former officials in Israel and the United States, suggested that an attack on Iran will combine air and ground faces but will not include naval forces. U.S. President Barack Obama, however, said this week he does not think Israel has decided whether to attack Iran over its disputed nuclear program. He added that Israel is rightfully worried about its security if Iran achieves nuclear capability. During his remarks to the Jewish community members, Sarkozy also said Israel needs a peaceful Palestinian state as its neighbor, pointing to France's historic rivalry with Germany — turned into a crucial European alliance today — as a possible model for Arabs and Israelis. He also defended his decision to support the PA’s membership in the UN cultural arm, UNESCO. France was one of 107 countries that voted to accept the entity to the organization in October. “If I did it, it’s exactly because my entire history has been to be close to Israel,” Sarkozy said, though he did not explain how allowing the PA to join UNESCO helps the cause. AP noted that in the crowd during the event was his most likely challenger in this spring's election, Socialist Francois Hollande. Recent polling data showed that Hollande has so far secured 31 percent of the vote, while Sarkozy is holding on to just 25 percent. In a runoff, the incumbent president would take only 40 percent; Hollande would win 60 percent.